Hosting is the only way your website will ever become live. When you visit a website, you are actually looking at files stored on a server somewhere. Therefore, you need to purchase hosting that way your WordPress website has somewhere to live. When deciding which hosting provider to pick, compare their prices as well as their usability. How much do they cost? Do they provide a “1 Click WordPress Installer”? How fast did their homepage load? These simple questions will help you easily narrow down which provider best suits your needs. You’ll also need a domain name (ex. http://www.yourname.com) which you can most likely purchase from your hosting provider. They should also have a very simple tutorial of how to link your new domain name with the hosting plan you just signed up for. Once you have found a hosting provider that you like and have signed up for a hosting plan, now it is time to install WordPress. If your hosting provider has a “1 Click” installation, great you can skip this section. For those that went with a provider that doesn’t have that easy installer, don’t worry, I’ll walk you through the process. Once you have downloaded the files, you’ll want to extract them (unzip the compressed folder so that you can see all the files) and upload them to your server via ftp (You should be able to find a very simple tutorial on your hosting provider’s FAQ’s or Support page on how to set up ftp). Upload the files contained in the WordPress folder to your root directory on your server (usually htdocs, html, or www). MySQL is a typical database server that your hosting provider will let you use. 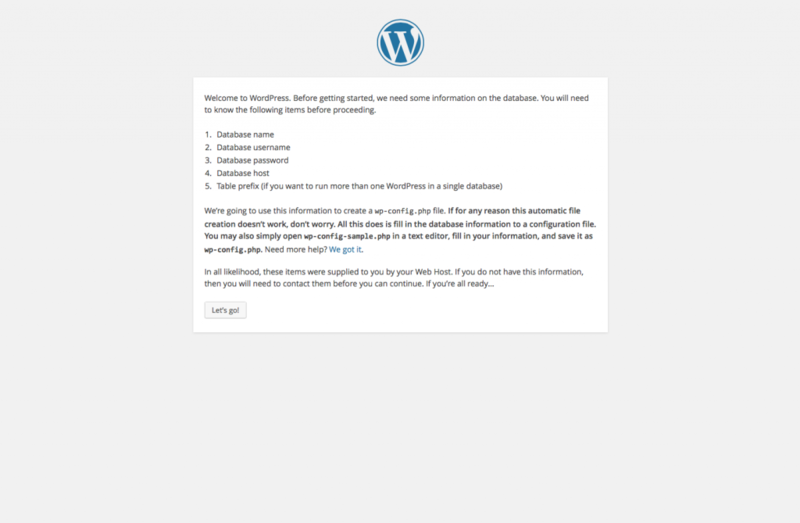 This is where WordPress will store all of the information for your website. Once you have set up and secured your database, its time to move on with the install. You should already have all of this information from when you set up your database. Fill in the appropriate information to link WordPress to your database and click submit. If you see this page then you should be good to go! Just fill in the information for your site and hit “Finish Install”. 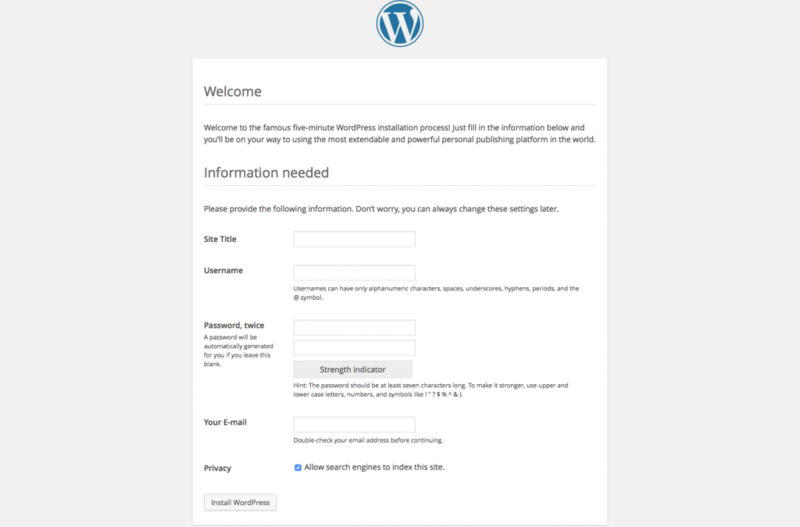 WordPress is now installed and you can begin to make your mark on the internet. Just login to your new website by visiting Http://<yourdomainname.com>/wp-admin/ and login using the username and password you just created. If you have any questions, or are having trouble with installing WordPress, comment below or shoot me an email at [email protected] and I’ll try to help you through it.